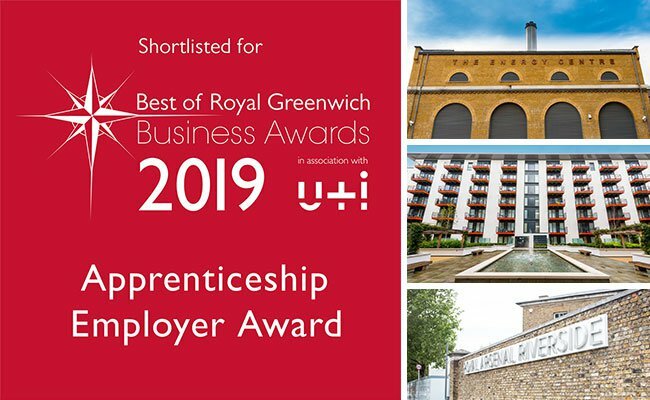 We currently employ 13 apprentices nationwide and we are delighted that our commitment has been recognised with a place on The Best of Royal Greenwich Business Awards after they placed us on the shortlist of the Apprenticeship Employer Category. Attracting talented and enthusiastic people into the district heating industry is one of the main challenges facing the sector and we believe that apprenticeships are one of the key ways to help reduce the skill shortage. The awards had almost 240 nominations throughout all 10 categories and after a difficult day of deliberations they narrowed them down to a shortlist of 6 in each category. Rob Callaghan, Regional Director for London & the South commented, “It is hard to over emphasise the importance of attracting, developing and keeping talented young people in the construction industry and apprenticeships are one of the best ways we have found of doing this. Each organisation on the shortlist undergoes an interview with the organisers to discuss their entry and the winners will be announced at an event on Friday 15th February at the InterContinental London – The O2. We have been working in Royal Greenwich for over a decade, delivering energy and heating infrastructure behind Berkeley Homes Royal Arsenal Riverside Development. This is the second recent success for our London-based apprentices after they claimed a Gold and Silver award at Berkeley Group’s Apprentice Awards.